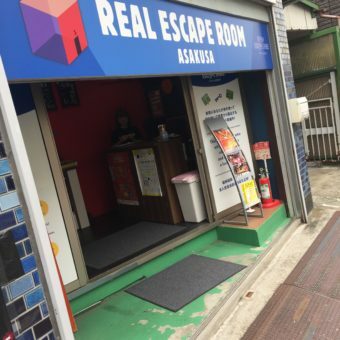 The second and last room we found in Tokyo that actually offered an English-Speaking experience was Real Escape Game in Asakusa. They also offered something we have never done before – a public game. 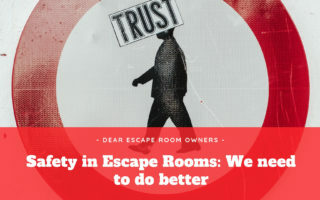 At first we were confused and unsure about being paired up with strangers, but find out in the Review how everything turned out and if we escaped the Red Room in time. We returned to Toyko at the End of Summer 2017. Thanks to the lack of english alternatives, we returned to Real Escape Game / Scrap Tokyo to play The Haunted Manor – only to find out that they do not offer that room anymore. On the time of writing this review, they now offer a “sequel” to that room called “Hautned Manor, Vol 2. Never the less, we did not play the first or the second room. If anyone has, we would love to hear some feedback. We actually went for a new room called “Escape from Hunter X”. 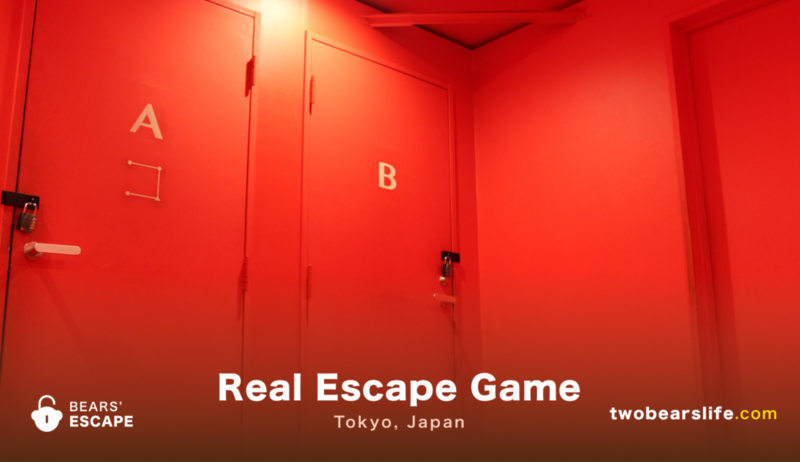 We have edited our Review of Real Escape Game / Trap Tokyo – in the first section you will find the original review, in the second section follows the Update 2017 for our latest visit. The website of Real Escape Game is a little bit confusing – it goes even that far than even now, we are not even sure what the companies real name is. Is it SCRAP? Is it Real Escape Game? Real Escape Room Asakusa? 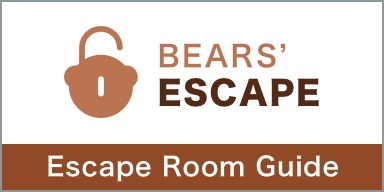 Well, whatever it is, it was located fairly closely to the Tokyo Skytree as well as Escape Hunt Tokyo (check out our Bears Escape Review here), which is also located in Asakusa. 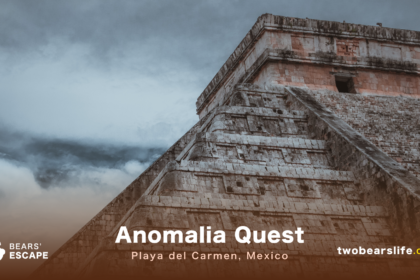 Back to the confusing website – since we did not really find out how their room system worked online, we decided to check out the location itself. 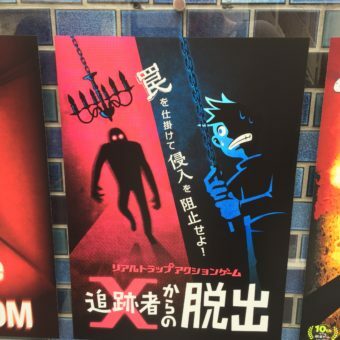 Turns out that in the Asakusa Location, they offer two rooms: The Red Room and The Haunted Manor – both of it as public rooms. We were confused about that concept since all of the rooms we have done before were all private rooms. What is what, you may ask? Private Room means that you can book an entire room for yourself and your friends – a public room offers a certain amount of slots per room, which may be filled according to the bookings. That means that you can (and probably will be) paired up with other people for the same room. They offer different times for English and Japanese games. You find yourself locked in a room. There are no puzzles or codes around you – only red walls, mysterious props and two locked doors. You must rely on your own abilities to open these doors and escape. We got paired up with two super nice japanese guys who also were really excited about the room. We were a little bit sceptical about the language barrier – but we got along pretty good with english. The room itself works because of all the surprising elements, which we will not spoil. Of course it is not just a room with four red walls. After you enter, you see two doors with locks – and that sets the starting stage for the game. Another first for us was the game master, who actually came into the room with us. At first it was weird, but since there is no story involved, it also did not distract from the game or break some kind of immersion. The game master was quiet and helpful when needed, but never a distraction. After finding out more about the room, it actually became quite obvious why she was in the room with us. Also another first was the “buy more time” option they have. The normal time for the room is 30 minutes – if you have not escaped in that time, the game master stops the game. She asks every group member if he/she wants to continue another 10 minutes. It is up to everyone if he wants to continue or leave and you may also continue if other people choose to leave. We needed the extra time, so we bought the extra 10 minutes. 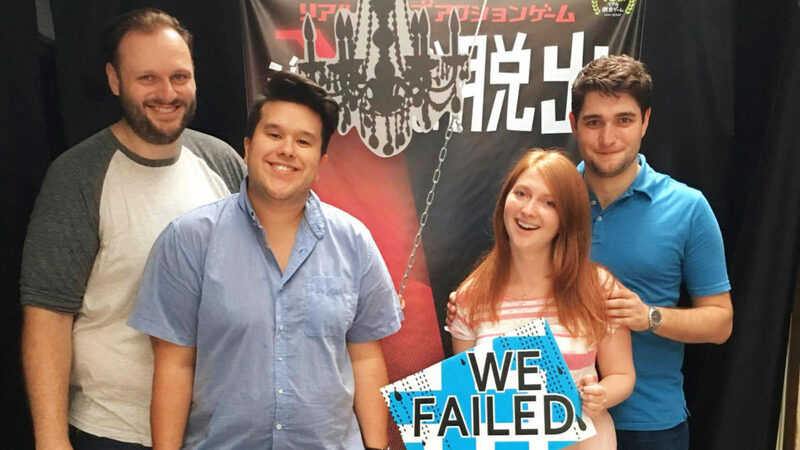 It was ok for everyone involved and we got the chance to actually escape the Red Room of Real Escape Game in Tokyo. We had a couple of firsts in this room. First of all, the website made it hard for us to actually make a reservation. If you have never played a public escape room, which is more common in the USA than in Europe, don’t be afraid to give it a try. We were also sceptical in the beginning, but after the introduction we got into a real good group dynamic and we had a great time. The room itself had really cool puzzles and mechanics that made it a unique experience for us. We have never played a room like this before or after – so that is a pretty big thing. We thought about the time-buying option and agreed later on that we did not like it. Sure, if you actually manage the game in under 30 minutes you safe money, but we would prefer a “money back if you do it in that time” instead of having to stop the game and have a discussion in the whole group about it. It takes the energy out of the group and (i guess) most teams need that extra time anyway. The puzzles and game designs were really cool and unique – the only (really small) critique we have is about the “do not touch” stickers: we thought elements with those stickers are not part of the game in general – but they just mean that you should not touch the objects, which was a little bit confusing. The rest of the game was pretty clear and since the game master was in the room, she saw that we ignored the object in question for a very long time and she told us to take a better look on it. No harm no foul. All in all we had a really cool time in Real Escape Game in Asakusa. You and your fellow scientists have developed the ultimate tool to travel through time. Naturall, it doesn’t take long for your lab to be attacked by evil forces who want to steal your device. It is up to you to defend yourself and your team against those Hunters. Will you be able to defend all attacks before your time runs out? When booking the room, we were thinking this might be a scary or haunted room too – but it is not. Lets be real clear about this: if you are worried or expect tol be scared in this game, this will be not the case. The game is more of a tactical trap planer for an “evil robot” than a scary adventure. The idea behind is is quite unique though and we were pleasantly surprised by the concept. Lets start from the beginning though. Since they only offer public bookings in Scrap Tokyo, we were paired up with a super nice couple from UK who also love to play Escape Rooms. Our team of 4 took some stairs and were welcomed by our game-master, who was in character as a fellow scientist who assisted in our adventure and stayed with us through the whole experience. After giving us the basics of the story, he also introduced us to the mechanics of the game, which felt a lot like a computer game. We were informed that the first attack is about to happen, were handed a fact sheet with strength and weaknesses of the Hunter that would attack us and also a map as well as some “weapens” / “traps” we could use get rid of him. There was no active fighting involved – don’t worry. The moment you are in the same room as the Hunter, you have lost. So our goal is to figure out a way to use your tools and traps in a way to deactivate the hunter. We went to work, explored the lab and the surrounding rooms that were part of the game, figured out a plan as a group and set our traps. Once we were ready, we were ready to start the attack and could watch if our plan worked. If not, the hunter would kill us and the time would be set back so we could try again. Did we finish the mission in time? Sadly – no. The last Hunter got us – even do he did not really follow the rules. Well – we still had fun 😉 Thx to our fellow Escapies from London. The concept of Escape from Hunter X is pretty cool. We were sceptical at first and felt unsure during our first hunter attack. But once you got a feeling for the rules of the game, we actually enjoyed the game a lot. The different hunters offered different challenges and we needed to adjust our solutions to the different attack modes. So why didn’t we finish the game in time? Well – in general we needed some time to understand what we should to in the beginning, what clearly cost us some time. But during the last section of the game, they “kind of” change their own rules and threw us a curve-ball, which meant we needed a reset we did not really have time for. So we had to start the last run-through totally unprepared and we all got “killed” on the last attack of the hunter. Is it unbeatable? No, definitely not. The gamemaster was kind enough to let us finish the final trap setup and although it was a little bit “out there”, considering the rest of the game was pretty straightforward, it is absolutely beatable. We just didn’t. 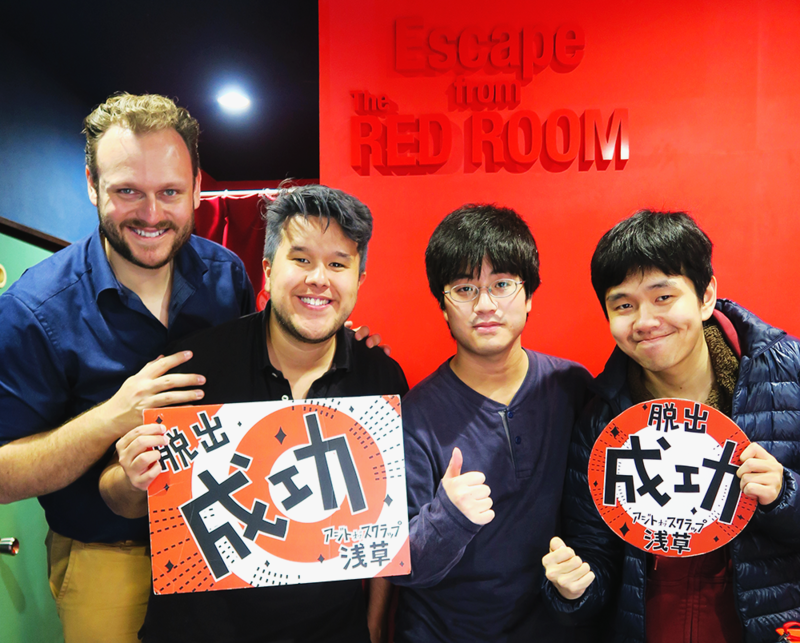 When we did the Red Room, it was actually one of the first Escape Rooms we did in general, which means our first Escape Room Reviews of Tokyo were very fresh-eyed. Returning this years, our expectations were higher. Looking back at the Red Room with this new knowledge, we still consider that room a very unique experience. Certainly not “one of the best”, but we have not done a similar room since. The location itself is rather small and we encountered some problems with the hosts at the entrance, since they struggle even with the simplest english. It wouldn’t hurt to bring a google translate device with you if you don’t speak any Japanese. Also, the production values are rather on the simpler side. Thats easier excused in the Red Room, since the concept needs an empty room anyway. 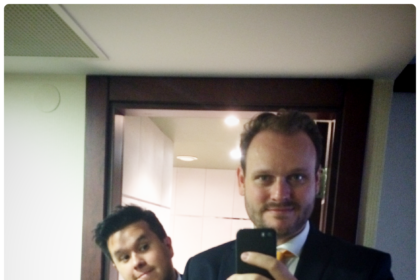 With Hunter X, we must say that you should lower your expectations if you have done more rooms in England or Germany. On the other hand, both the Red Room and Hunter X have very unique game mechanics and we really like that. Like we have said, we have not encountered a similar game to the Red Room anywhere else and the same absolutely fits to Hunter X. 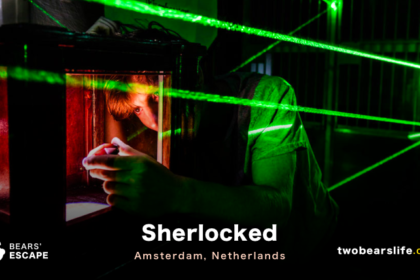 If you like Escape Rooms, that alone should warrant a visit. 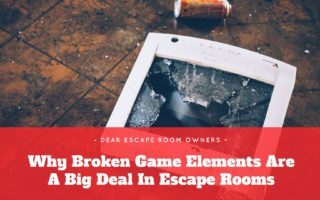 One criticism that we have heard by fellow escape room enthusiasts and we certainly encountered the same problem: Scrap seams to like to add a super hard puzzle in the last section of a game. We struggled with the final Puzzle in the Red Room as well as the last section of Hunter X. So be prepared for a “harder than usual” final puzzle. The games and puzzles were pretty cool and unique. Don’t be afraid to go for a public game with strangers (if you don’t get a single slot), even if you have never tried it before – we had a really good time. The staff was nice and helpful. The location itself is pretty small and tight, but easy to find. 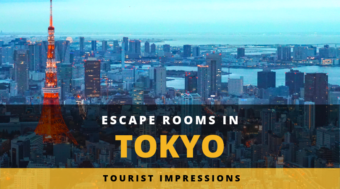 If you are an Escape Room fanatic, the rooms should be on our Tokyo bucket list.